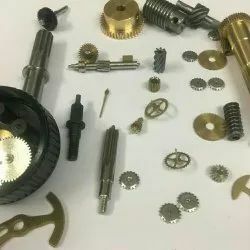 Offering you a complete choice of products which include micron small gears, micron gears, small spur gears, small gears, small bevel gears and wiper motor gear. With the assistance of our dedicated professionals, we are deeply engrossed in offering a wide range of Micron Small Gears. The offered micron gears are developed with the help of finest quality material and advanced tools under the management of accomplished professionals. 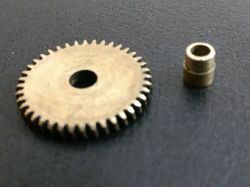 Swadeshi gears have completed the range of machinery for making Micron Gears for all instruments. Owing to our rich industry experience in this domain, we are engaged in manufacturing a wide range of Micron Gears. The provided micron gears are developed with the aid of supreme quality material and leading technology in accordance with predefined industrial norms. Our offered micron gears are extensively demanded its quality & long life. Backed by a team of highly devoted professionals, our organization is offering a wide range of Small Gears. The provided micron gears are developed with the aid of supreme quality material and leading technology in accordance with predefined industrial norms. 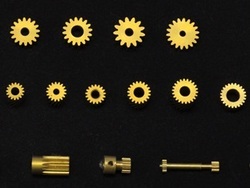 Our offered micron gears are extensively demanded its quality & long life. Swadeshi gears manufacture Small Bevel Gears for non-automotive applications. These are generally used for slow-motion transmission. Swadeshi gear manufactures Wiper Motor Gear for wiper motor application. The company manufactures these parts for majorly all 3 wheeler segments and is supplying to many wiper motor manufacturers.